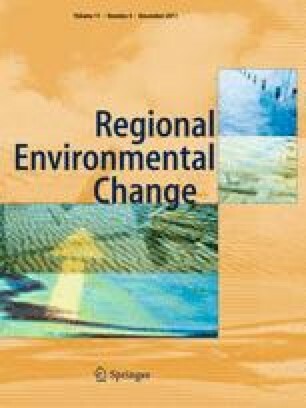 In recent years, the surface area affected by land degradation (LD) has significantly increased in southern European regions where the socioeconomic development has been proposed as a basic factor underlying the degree of vulnerability to LD. This paper investigates the correlation between several socioeconomic indicators and the level of vulnerability to LD in Italy, expressed as changes (1990–2000) in a composite index of land vulnerability (ΔLVI). The analysis was carried out over 784 local districts. The impact of per capita value added, agricultural intensity, industrial and tourism concentration, and urban growth was separately tested on ΔLVI. Results indicate that a lower district value added, crop intensification, irrigation, and the level of land vulnerability to degradation are strongly associated with the increasing level of land vulnerability over time, highlighting the role of the socioeconomic development as a main process underlying LD. In this framework, spatially equitable sustainable development may represent the effective strategy to mitigate the detrimental effects of economic growth and regional disparities on Mediterranean LD. This study was carried out in the framework of the Italian Project “Agroscenari”—Adaptation Scenarios of Italian Agriculture to Climate Changes.